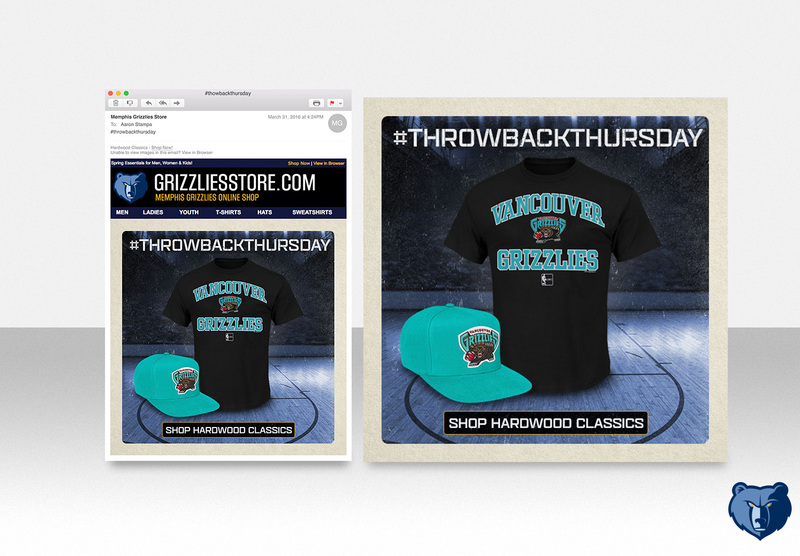 The Memphis Grizzlies official online store was part of a Fanatics club project that lasted for a total of 3 months. 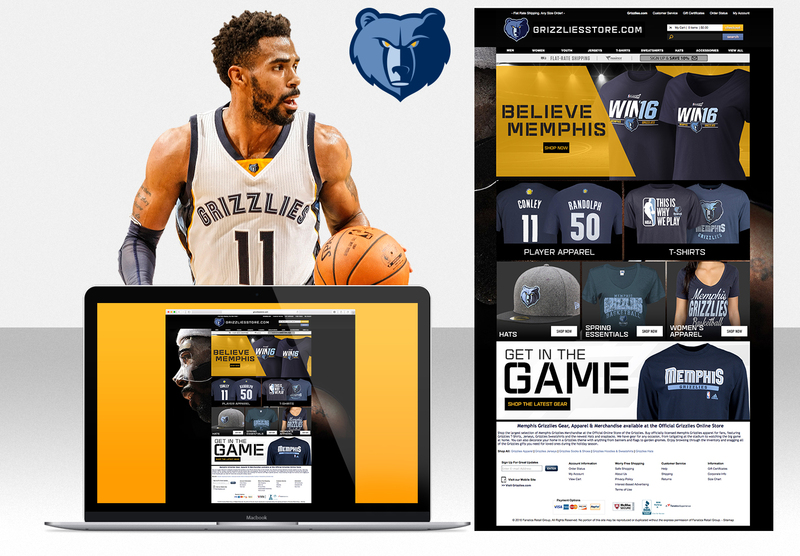 In this time the redesign of the desktop and mobile homepage were the most important pieces of this campaign. The day to day duties such as email, social, banner ads, etc.. were also tasks that needed to be maintained as well, in tandem. 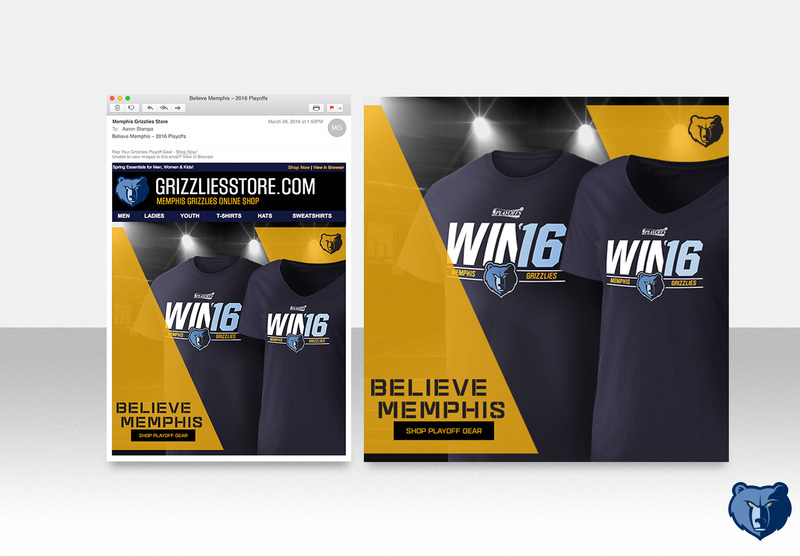 The pinnacle of this project was when they earned a spot in the 2016 playoffs. 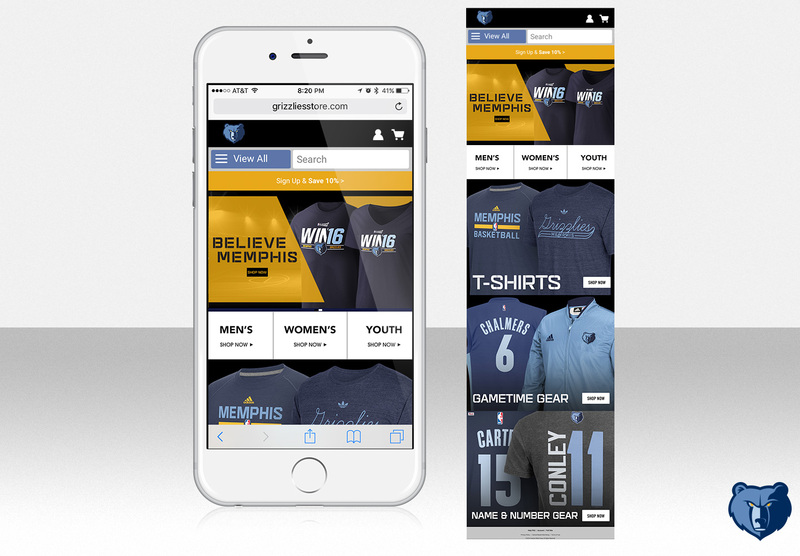 The site displayed 2016 playoff gear as well as a variety of official NBA products and conveyed an authentic buying experience to the Memphis Grizzlies fan.